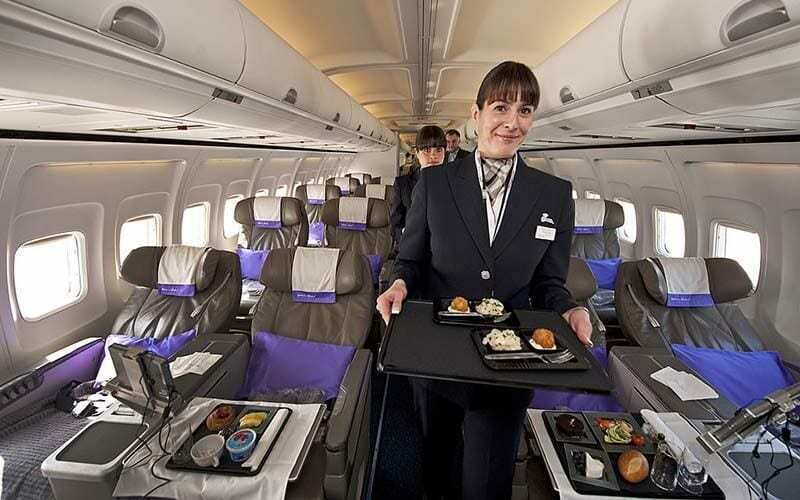 When you think of flight attendants, what comes to mind? Petite, slim young women in cute, matching suits? Smiling faces, handing out scotch and sodas? 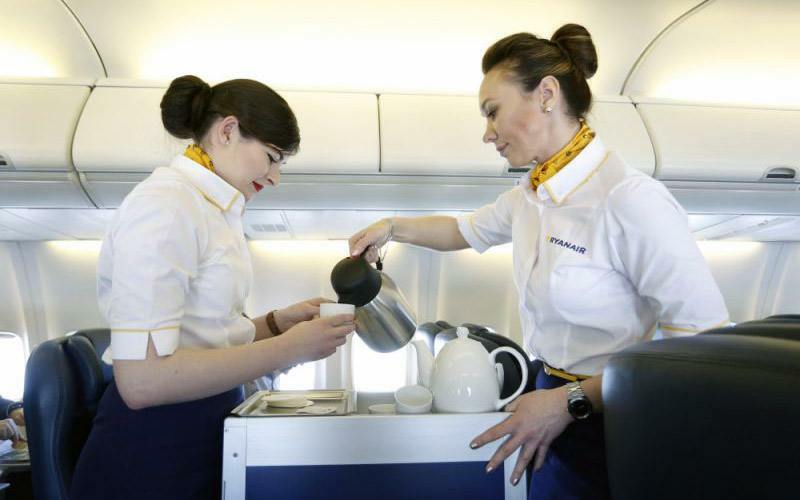 If you think that your flight attendant is little more than a glorified waitress, think again. While the pilot is flying the plane, it’s the flight attendants (don’t call them stewardesses) who know everything that is going on, who is sitting where, and who they are going to seat right next to that screaming infant. 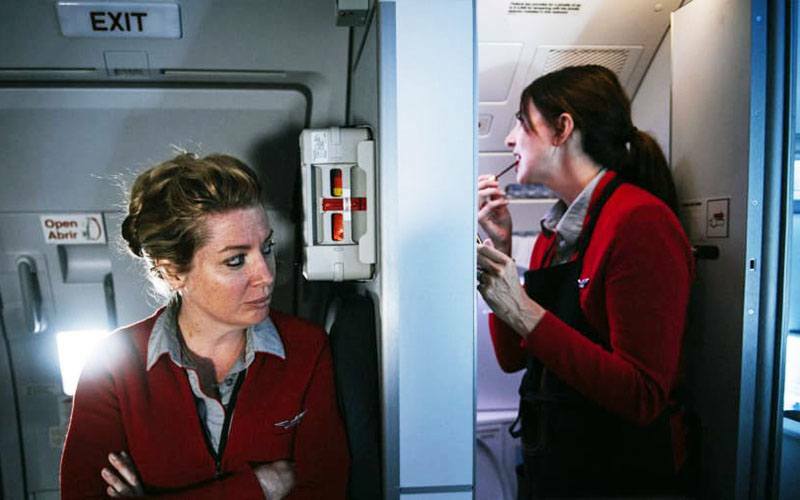 If you want to know all the dirt about how to get better service and other little-known secrets that flight attendants don’t usually share with the public, keep reading. Seriously, we aren’t kidding here, NEVER get plain hot water for tea, coffee, or those cup of noodle soups. The water lines inside the plane are never cleaned. The EPA says 15% of all tested aircraft had potentially harmful bacteria in the water lines. It might be snowing or sunny, but flight attendants must ask you to open the window shades when landing. Why? They are required to look outside and see if there is any possible danger outside, such as a fire or very deep water. It’s really for your safety, so cut them a break and open the shades. 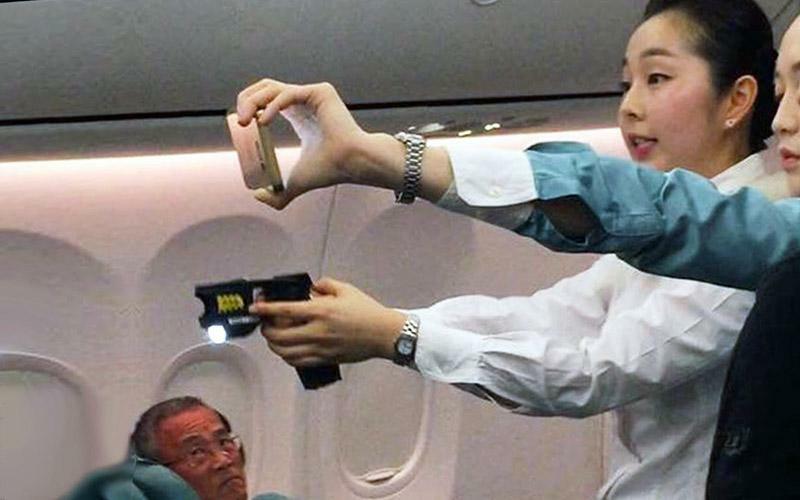 Some airlines approve of flight attendants using tasers for violent acts that endanger the lives of other passengers or the safety of the plane itself. 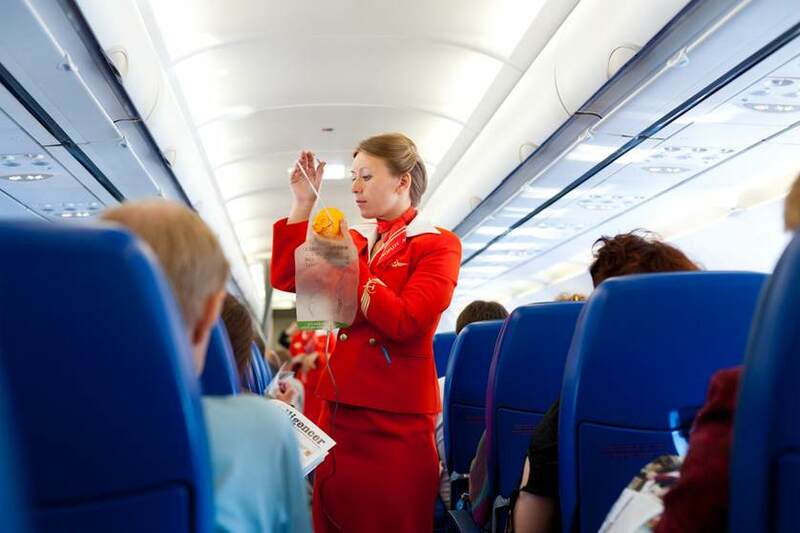 There haven’t been many cases where flight attendant have used them however. In most cases, issues rarely escalate to a point where subduing a passenger with a taser is needed. 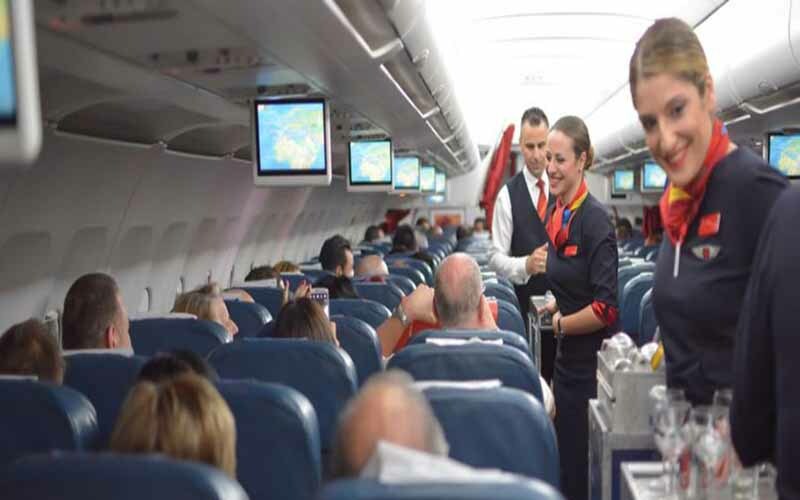 Many people enjoy sitting in the front section of the plane, so they can be the first off when they arrive, but the truth is that passengers in the back of the plane will get better service. If you’re in the front, that extra mini-bottle of wine must be paraded through the entire aircraft, making others think they should get one! When you’re in the back? It’s easy to slip you that toothbrush without anyone noticing. 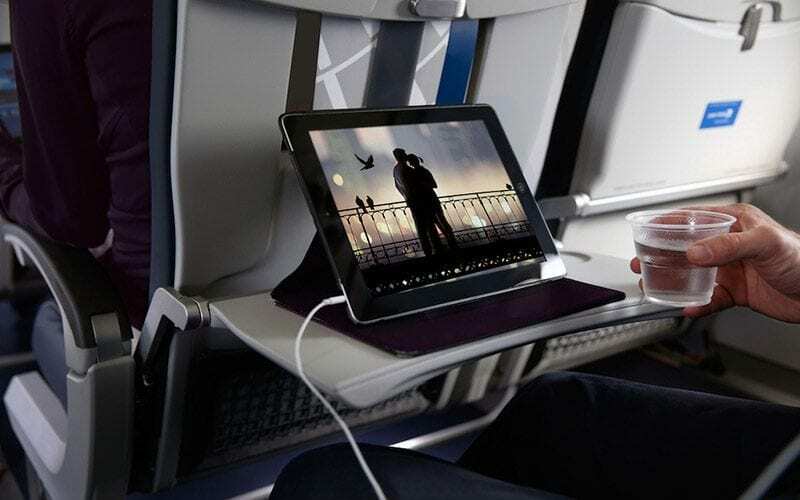 While your phone might not interfere with electrical devices on the plane, they can interrupt air traffic control frequencies. Oh, the second reason? If there ever is a problem, that laptop or tablet will become a flying object that can cause some serious damage to someone’s face. Diet Coke has one thing in abundance most other sodas don’t: extra carbonation. This means it takes forever to settle. 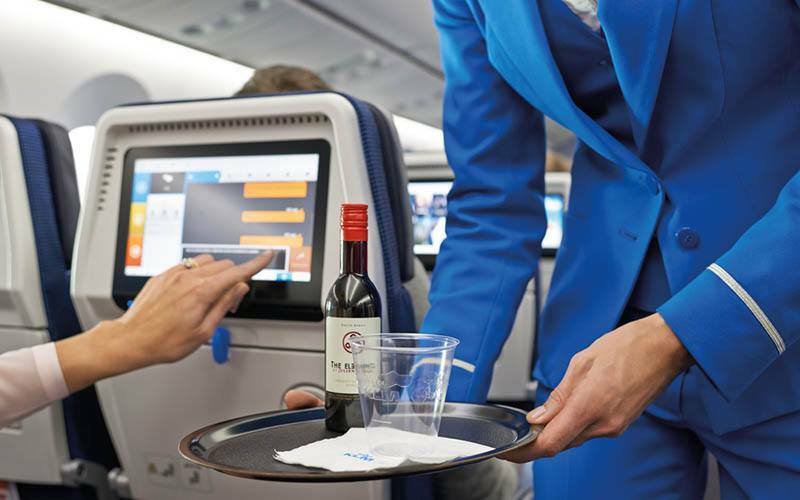 Your flight attendant doesn’t want to give you half a cup or hand you a cup that is overflowing, so it takes time for the bubbly to settle, making other passengers wait. Those happy, smiling faces that greet you as you board the plane are doing a while lot more than just offering you a warm welcome. The crew is giving every passenger the once-over, looking for possible problems, such as bad attitudes, someone who might come in handy in an emergency, if someone is disabled or if they appear to not speak the language. You never know when this information might come in handy. If it seems like your flight attendant is anxious to get you on and off the plane, there is a good reason for that; they don’t get paid for that time. Flight attendants are only paid when that door closes, and the plane is heading down the runway. 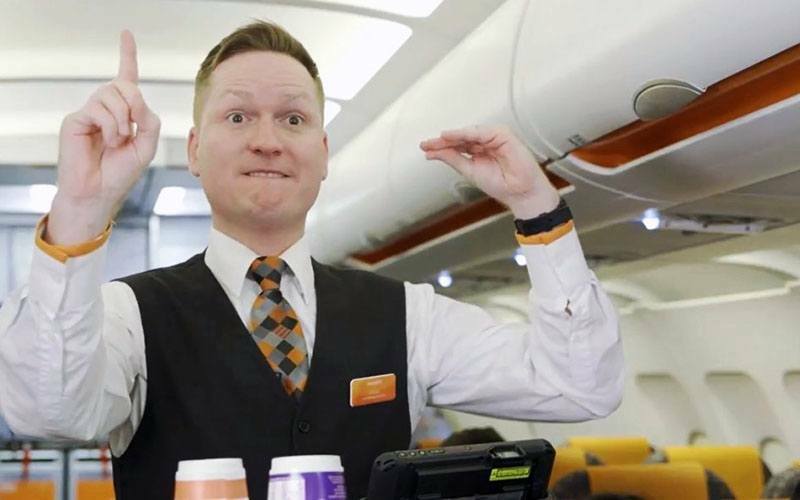 As you can imagine, a flight attendants’ job isn’t all sunshine and fluffy clouds. 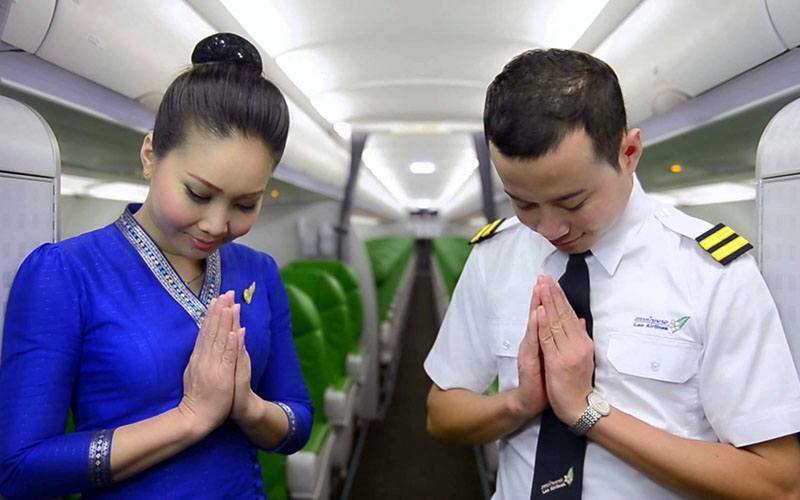 While running from flight to flight and trying to deal with all types of people, the one thing flight attendants appreciate is a little kindness. If you want to be upgraded, a smile will get you further than a scowl and if you want to sit away from that toddler who is kicking your seat? You better be nice. 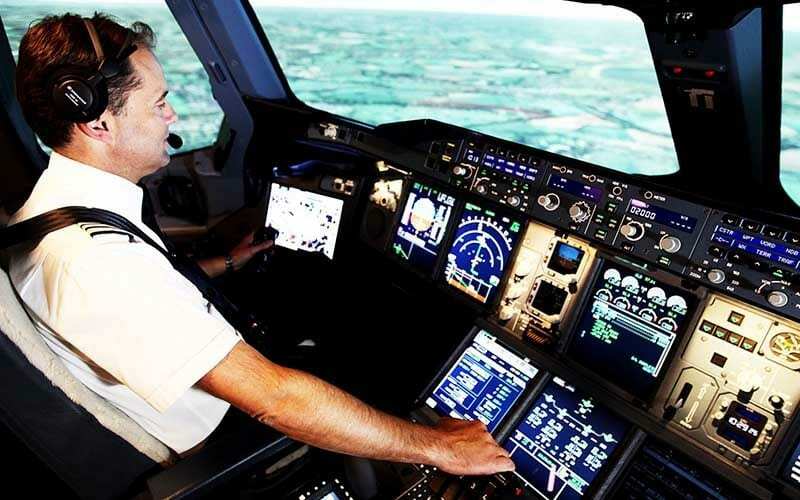 Pilots have the last word on a plane and can do almost anything it takes to subdue a violent passenger, just short of arresting them. However, your pilot can call ahead and have the authorities waiting when they land. Your pilot can actually place you in handcuffs so if you think you are safe because there is no air marshal on the plane, think twice. 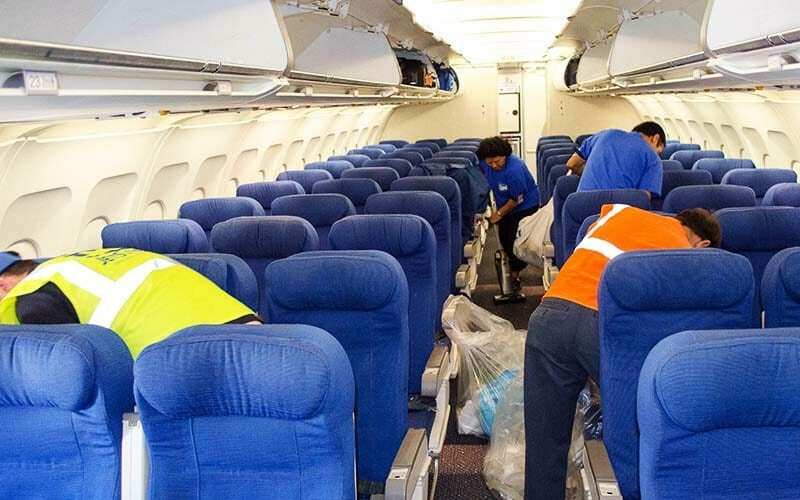 While you might have seen cleaning crews vacuuming the interior or taking out trash, don’t assume that anything else on the plane is sanitary. 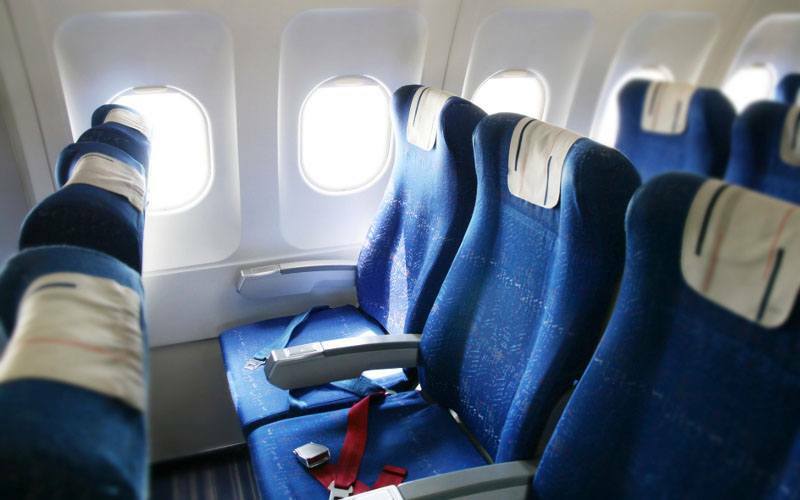 Bring a few disposable wipes and clean the tray and armrests yourself. Does the Crew Eat Airline Food? 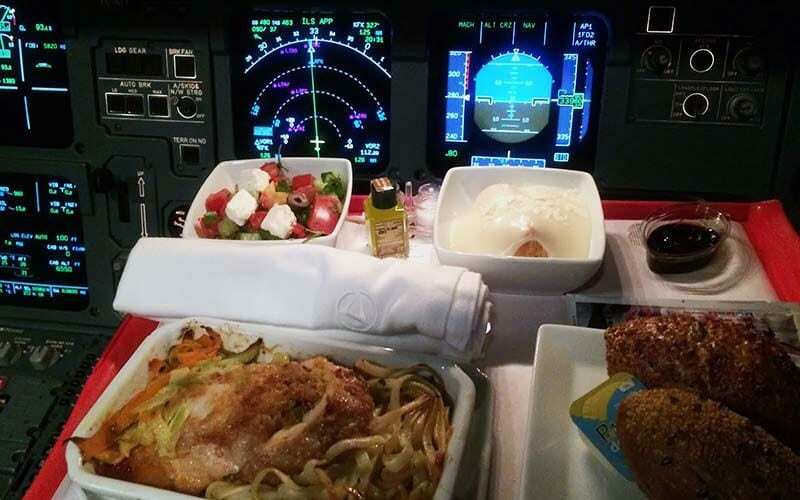 To avoid multiple cases of food poisoning, the crew in the cockpit not only don’t eat the same meals, they eat at different times. Pilots get first class meals and other members get business class meals, but these aren’t the same meals you are eating. What Happens to Uneaten Food? 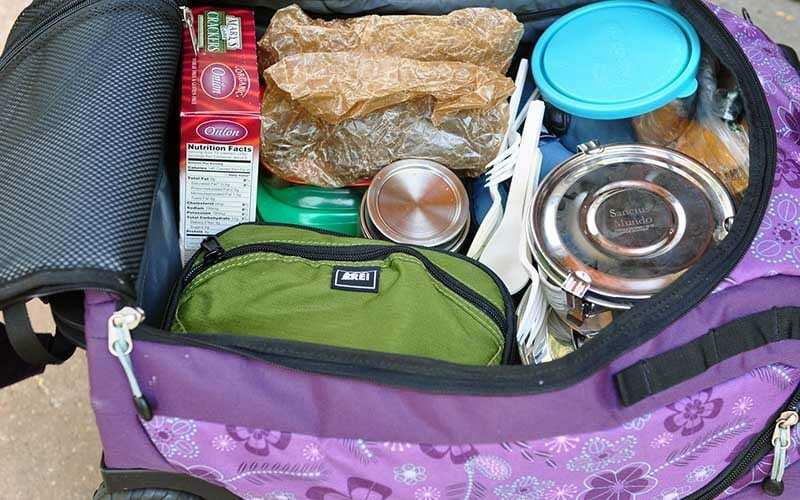 There are no laws stating what airlines must do with uneaten food, so each airline can make those decisions themselves, but for the most part, airlines simply throw it away. Which is probably a good idea when you consider that airline food is prepared anywhere between 12 and 72 hours ahead of time. A great many passengers use their time in the air to catch a nap, the flight crew doesn’t usually have that luxury, unless they are doing international, long-haul type of flights. Most planes built for these trips have small cabins, so the crew can catch a few hours of shuteye. Just How Drunk Can You Get? Not very, if your flight attendant can help it. 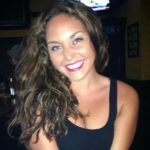 Not only is it illegal to get drunk on a plane, it is illegal for your flight attendant to continue to serve you after they realize you’ve had too many. I know what you are thinking, it’s pretty surprising to learn that it’s illegal to get drunk on a plane considering how many drunk people we’ve all seen on planes. In a word, yes. As you can imagine, it’s not cool to shout across the plane to a co-worker when something needs to be done. There are subtle codes and gestures that flight attendants use to communicate and those little chimes and dings? Yeah, those also tell your flight attendant when they can get out of their seats and start serving you those crackers. Where is the Safest Place to Sit? This is a difficult one to answer because it varies, depending on what type of accident or emergency there is, but, an analysis of plane crashes state that the rear third of the plane is the best place to be. Want to increase your odds? 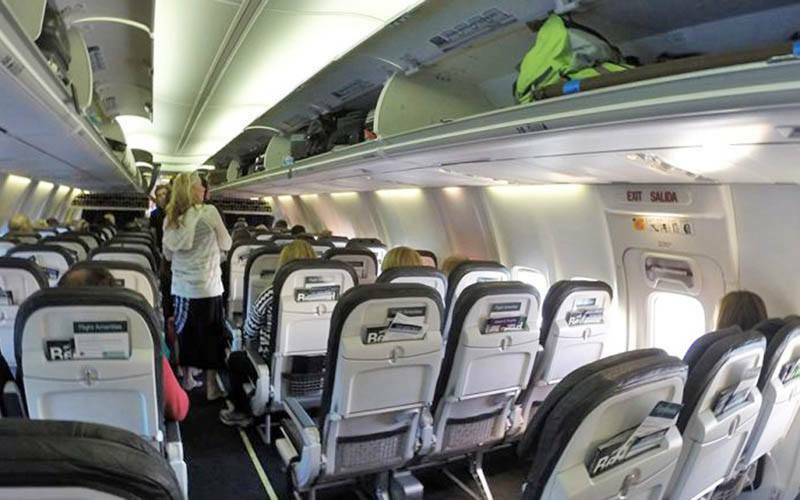 Wear your seatbelt, have an aisle seat or be seated close to an exit. A possibly life saving strategy is to find your nearest emergency exit, then count how many rows you are from that exit. 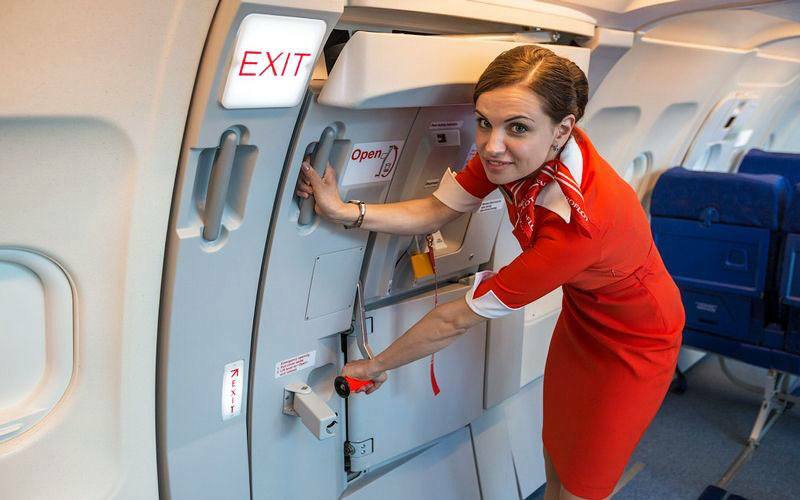 This way, even if the interior of the plane is filled with smoke or it is pitch black, you can find the exit by counting seats. Some people mistakenly believe that they can bring their own mini-bottles of booze on the plane. You can’t. 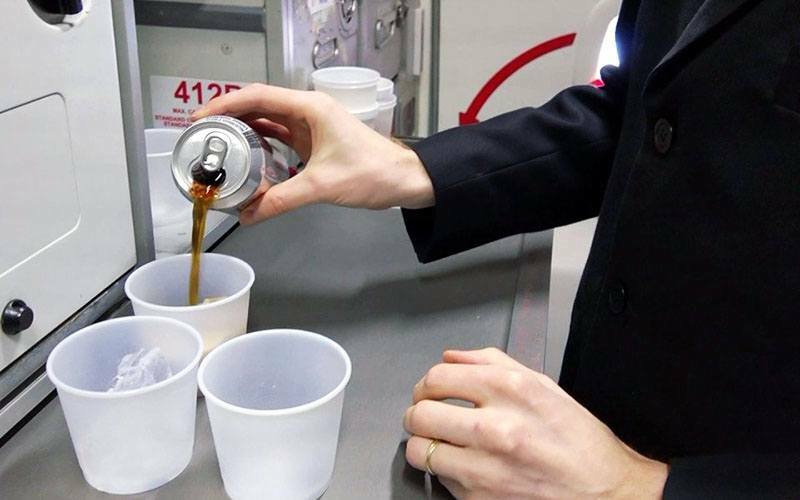 Flight attendants are required to make sure that you don’t “overserve” yourself. You should consider bringing you own snacks, however. They will certainly be healthier than airline fare. Upgrades to business class or first class are totally possible and within the power of your flight attendant, even after the plane door closes. How do you nab one? Be polite. Be friendly. If you know someone who works at the airline, drop their name. Of course, the very tall, very pregnant, or dressed to impress business professional also tend to get those seats with very little effort. Ask. You have nothing to lose. 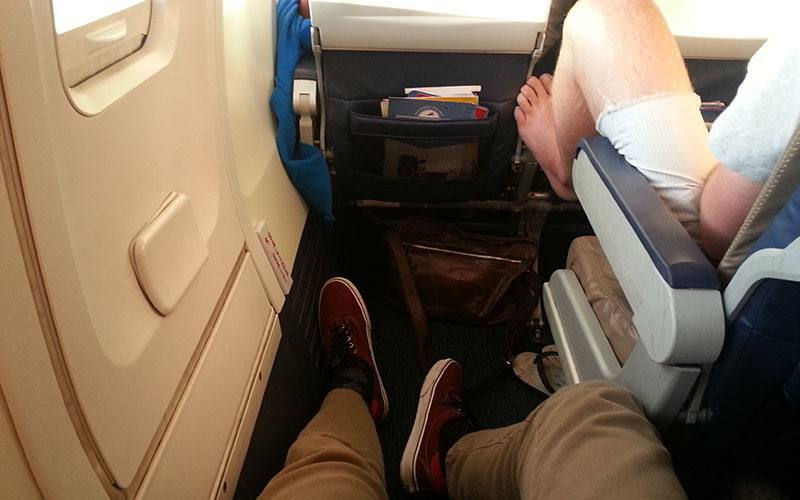 What About the Mile-High Club? While it’s not illegal, it is frowned upon. 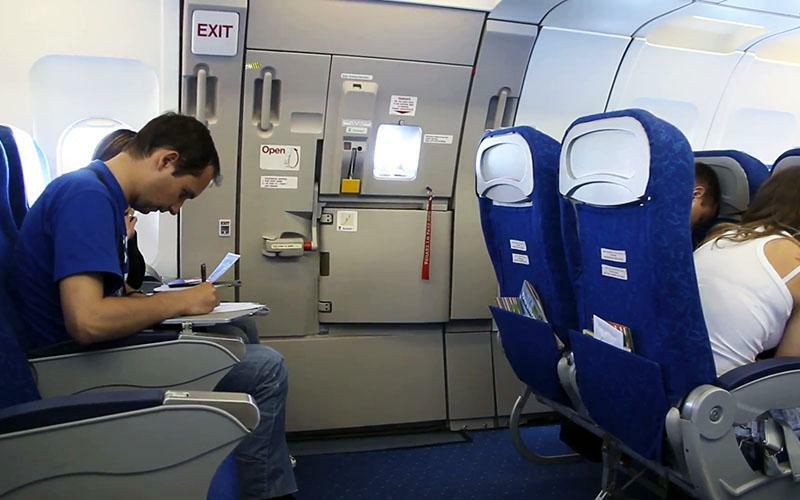 Flight attendants will try to discourage you from this little trick and they watch the restroom doors more than you realize. In case you didn’t know it, those doors unlock from the outside in case of an emergency, so it might not be as private as you think. How Safe are the Planes? In general, this is one area you really shouldn’t worry about. Planes must undergo a long list of checks before they can be flown. Today’s aircraft can withstand a direct lightening strike and powerful thunderstorms. What if There is a Medical Emergency in Flight? 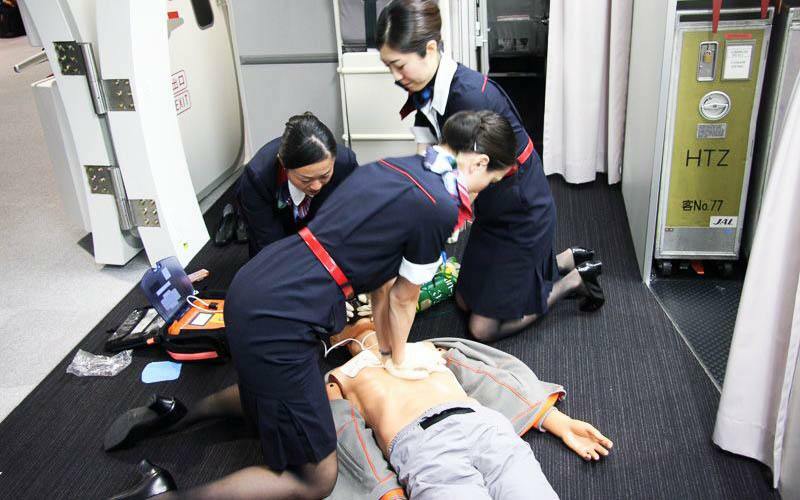 Your flight attendant is trained in basic first aid, can perform the Heimlich maneuver, and are trained in CPR. Of course, they will always seek out a doctor if possible, but planes that carry more than 30 passengers also have defibrillators onboard. Isn’t a Flight Attendant’s Job Glamorous? If you saw the movie View from the Top, starring Gwyneth Paltrow and thought that being a flight attendant must be great, keep in mind that was a Hollywood movie and not real life. 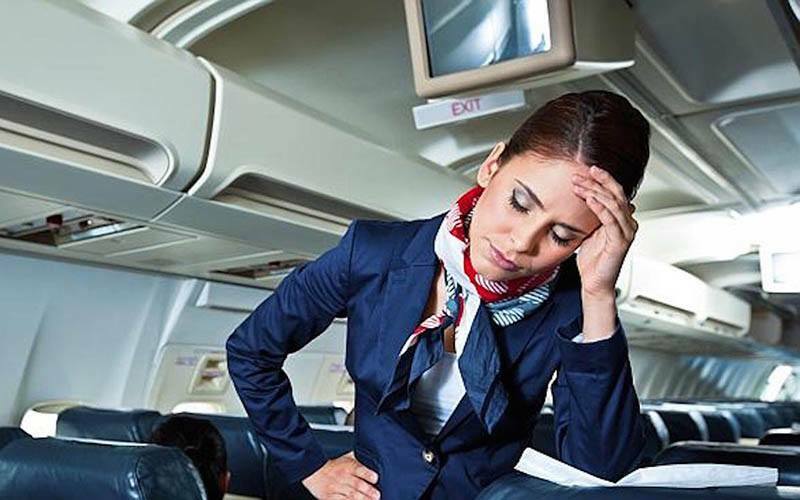 Flight attendants live in almost perpetual jet lag, often have 4AM wake up calls, while working weekends and holidays, and if you think a trip to France would be worth it, it’s all about seniority. When you’re the new kid on the block, you make tons of trips to Pittsburgh and Sioux City, not Italy and France.